The Fur Institute of Canada is proud to announce that we have a online store now! 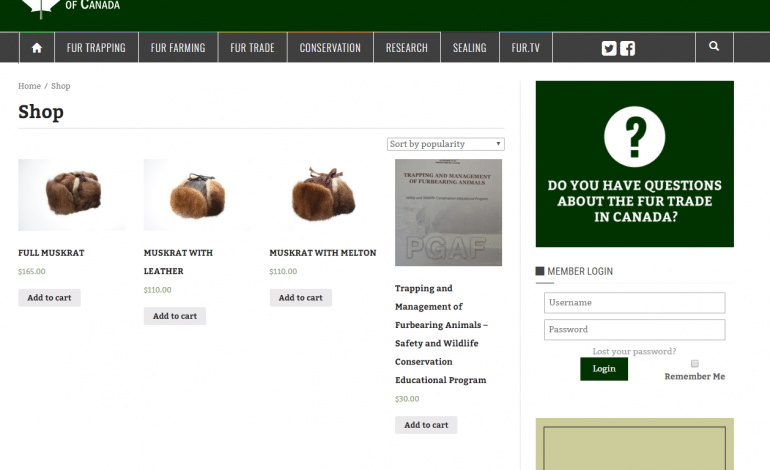 It’s simple to use, visit www.fur.ca/shop/ and have a look around. At the moment we have three fur hats and the newly developed trapping training manual which was produced by “Fédération des Trappeurs Gestionnaires du Québec” entitled, “Trapping and Management of Furbearing Animals – Safety and Wildlife Conservation Educational Program”. This will be a ever changing shop, with products easily accessible for purchase any time! Feedback is always welcomed, send thoughts to info@fur.ca.